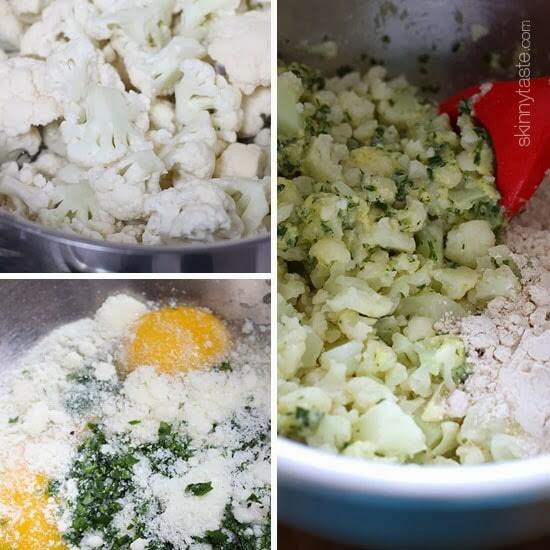 This is a delicious way to prepare cauliflower. 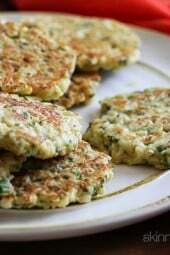 It’s similar to the taste of a potato pancake and makes a fabulous side dish – your kids will love them! My Sicilian friend Julia is a wonderful cook. I remember the first meal I ate in her NYC apartment; lamb chops and fried cauliflower which she calls broccoli a pasteta. She joked that day you can fry a sponge and it would taste good – she’s probably right. 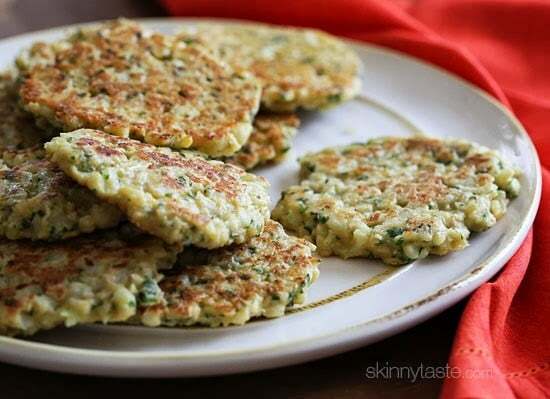 These are a lightened version of her recipe, made with Pecorino Romano, parsley, egg, garlic, white whole wheat flour and just enough oil to saute them in a pan. Steam the cauliflower in 2 1/2 cups water over medium heat until tender, about 5 to 6 minutes. Drain and quickly rinse under cold water to stop it from cooking. Chop the cauliflower into smaller pieces with a knife once steamed and measure to make 5 cups. Set aside the rest for another use. In a large bowl, combine the steamed cauliflower, flour, garlic, eggs, grated cheese, parsley, 3/4 teaspoon kosher salt and pepper. Add water so that batter becomes slightly more dense than pancake batter. Heat a 12-inch nonstick skillet over medium-low heat, add 1 teaspoon of oil coating bottom of the pan. Use a 1/4 cup measuring cup to form fritters. You can fit 4 fritters at a time, flattening them slightly with the back of the measuring cup. Cook until golden brown, about 2 1/2 to 3 minutes on each side. Repeat with the remaining oil and batter 3 more times. Long time reader, first time commenter! This was awesome and easy!! I used the prepackaged Trader Joe’s riced cauliflower, and boiled it quickly. Halved the rest of the ingredients except eggs. Wow!! Heya, I only hopped previously mentioned towards your site via StumbleUpon. Not somthing I would typically read, yet I loved your issues none the considerably less. Thank you for developing some issue effectively significance examining. 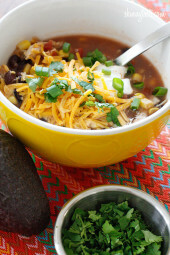 These are one of my favorite recipes of yours! Do you think I could substitute almond or another low carb flour? I see no reason why you couldn’t substitute the flour. I’m making these tonight. Thanks to these comments, I’m adding a little Vidalia onion, some frying peppers and some shredded cheddar. Made these last night because I couldn't bear the thought of spending much time over a hot stove in my tiny NYC apt in July. Ended up having company and these were a hit! I added a bit of curry powder and red pepper flakes and glad I did, they would have been a little bland without it. Steamed the cauliflower in the microwave to limit stove use. I was wondering if you eat these 2 fritters alone, i mean for dinner? Or if you eat this with starch? For a healthy and diet meal what do you recommend? Only these is too little right? Thanks in advance for your answer. I tried making this recipe on Friday night and I was pretty disappointed by the blandness. 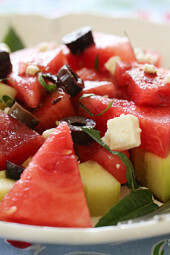 Granted, this is a diet recipe, so it is much harder to get full flavor. Next time I'm going to add onions and cheddar. Any idea if these are good reheated? I have to bring a dish to pass and wasn't sure if I could make these ahead of time and heat them up at my event. These were awesome. My kids even asked for seconds!!! I'd like to make these, but as a single person, I'd have way too many leftovers. Rather than cutting the recipe in half, do you think I could freeze the uncooked fritters and cook them later? Can I use this for Broccoli instead of cauliflower? Would it still work and taste great? Amazing recipe, I will make them, they look delicious! These were good, but needed something. I think a dollop of low far sour cream and a sprinkling of chopped chives or green onion would make them perfect. Thanks for your lovely recipes. Yummy! Gotta make these! Of course, here in The South, we make fritters out of anything! This is similar to a family recipe of ours. We are a family of New Orleanian Sicilians. 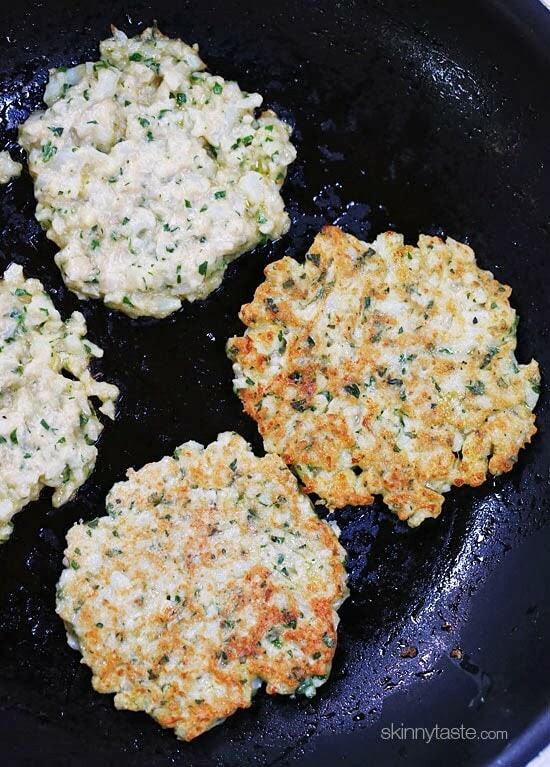 Our recipe calls for it to be fried in a pan, and as one giant frying pan size patty. Which is incredibly hard to flip! Good to have a lighter version, thanks! 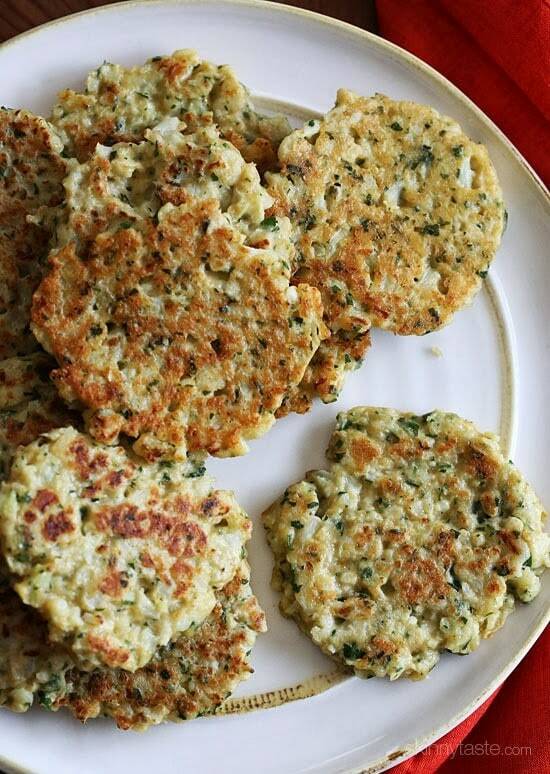 Do you think you could substitute soy or almond flour for the whole wheat flour for a low carb version? What a great alternative to potatoes! They would be perfect for any meal. I love how versatile cauliflower is. 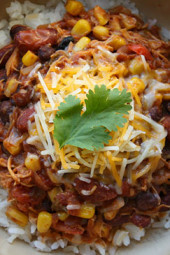 I've made many recipes off your site and have loved them. This is my first time leaving a post. I like to read the comments because usually all my questions are already answered. But I do have a question. I see where you say 5 cups of cauliflower after steamed. But then I see in older posts from a few years ago that you state 4 cups. So should I be using 5 cups of steamed or 4 cups. Can't wait to make these! !